2018 High Hoops Spring Basketball Program! For boys and girls — Sundays only! 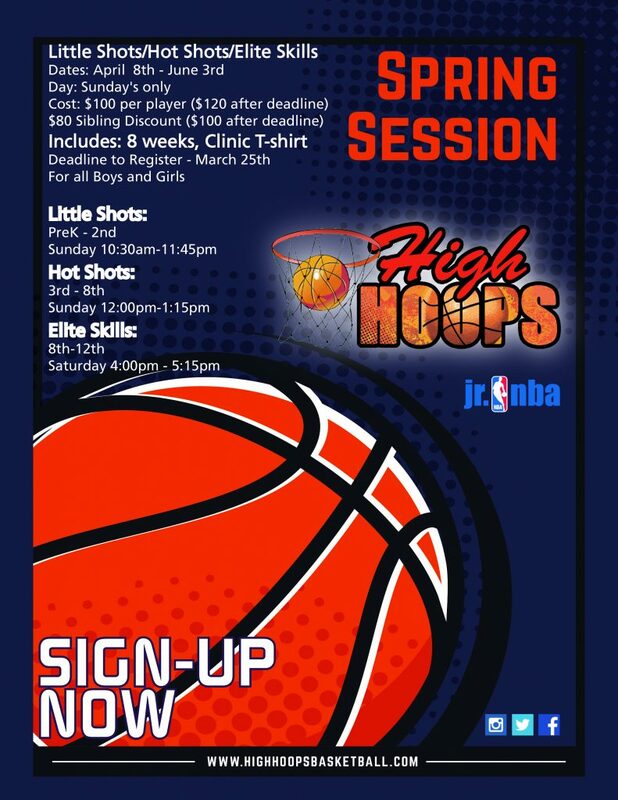 Little Shots Session: Grades PreK-2 — 10:30-11:45 a.m. Hot Shots Session: Grades 3-8 — 12-1:15 p.m.